Perfect for a Spanish Mediterranean Style Home this wood and iron entry gate comes with hand-forged iron scrolling throughout. It is beautifully finished with a dark stained mahogany wooden frame and subtle arched top. This Mediterranean Garden Gate serves as a security element that blends well into the beautiful Mediterranean architecture of this estate. Optionally, we can add a designer glass back such as rain glass, frosted glass or antique seedy glass to add privacy or an interesting backdrop to contrast the exquisite iron scroll design. 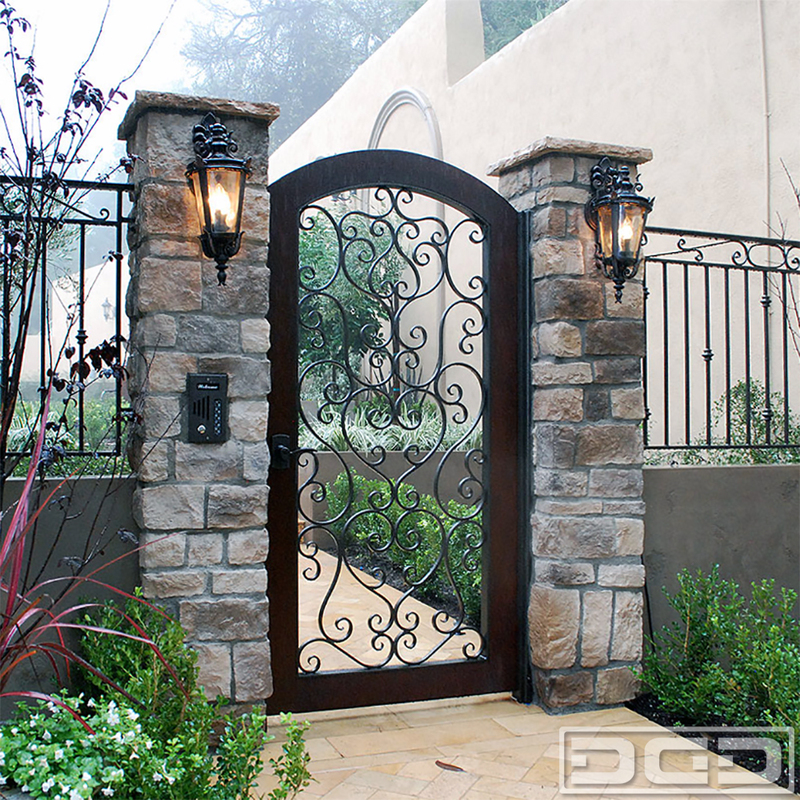 Our Mediterranean Style Gates are crafted for a lifetime of enjoyment and will become a focal point of your entry way, garden passage or courtyard. 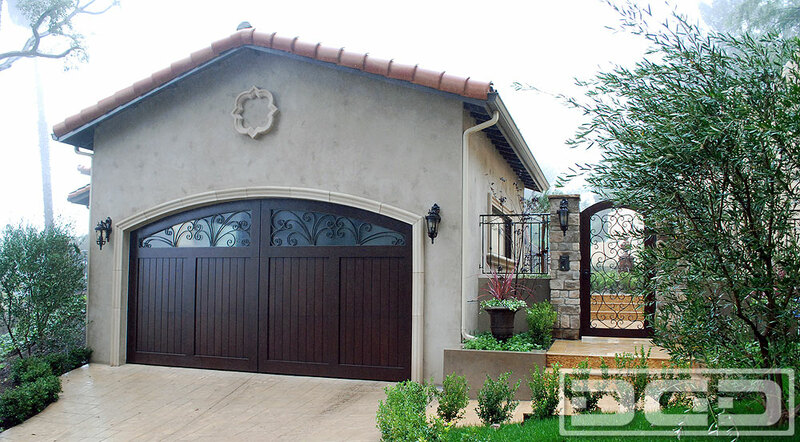 View additional complementing garden gates in this Mediterranean design as well as the matching wood garage door by clicking the image below.